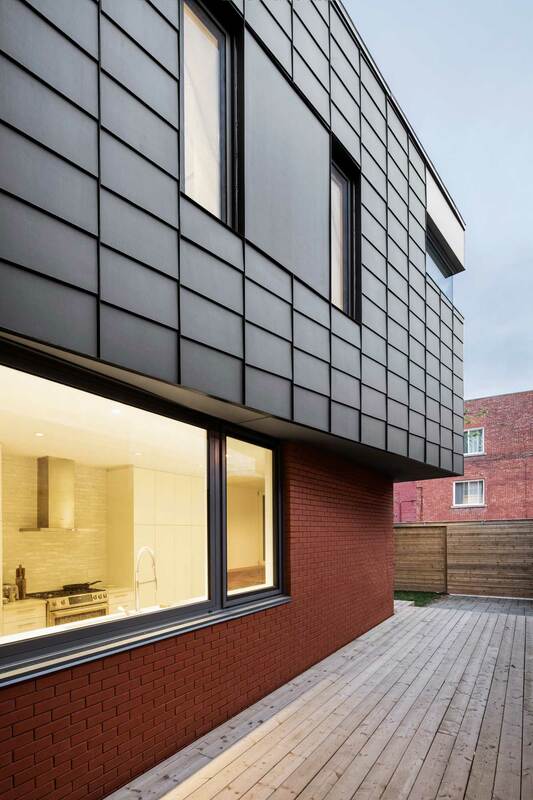 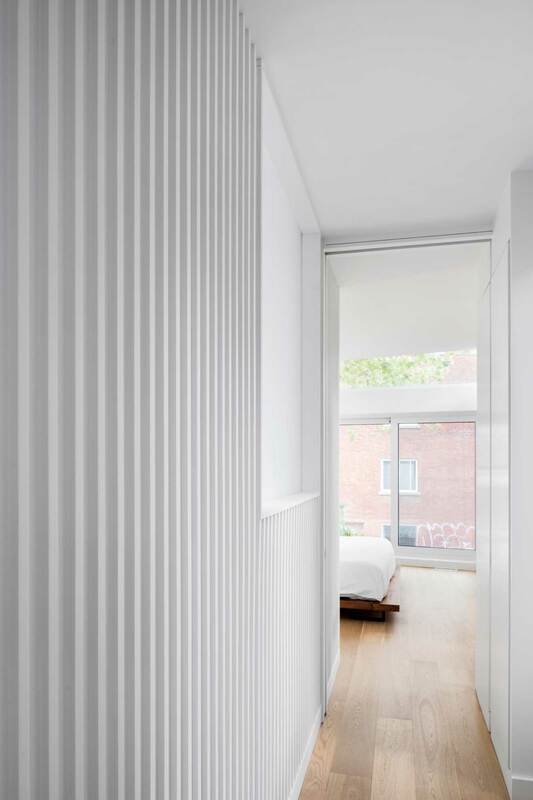 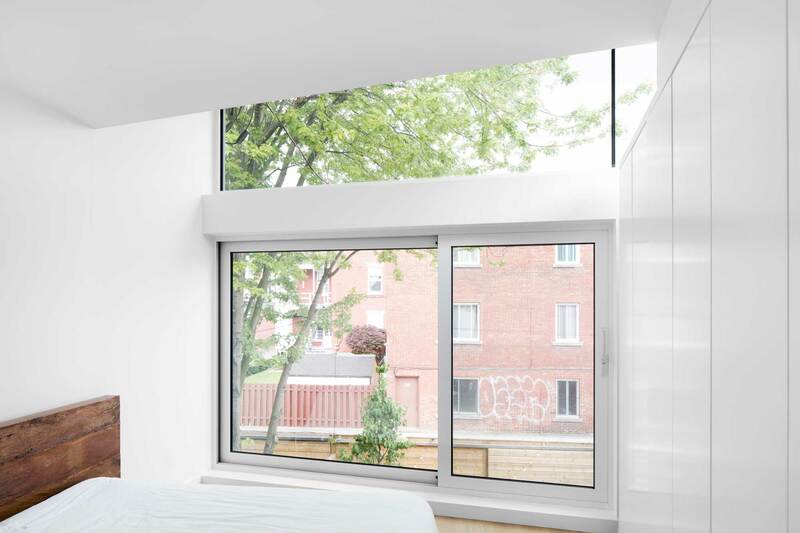 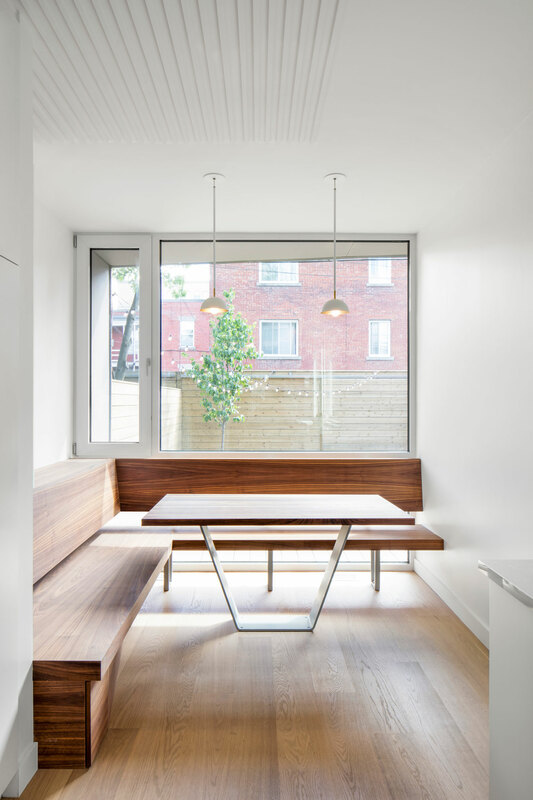 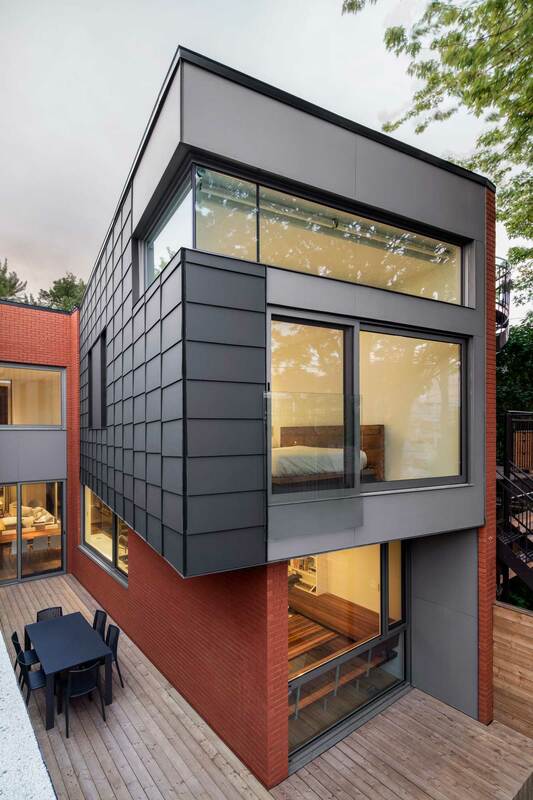 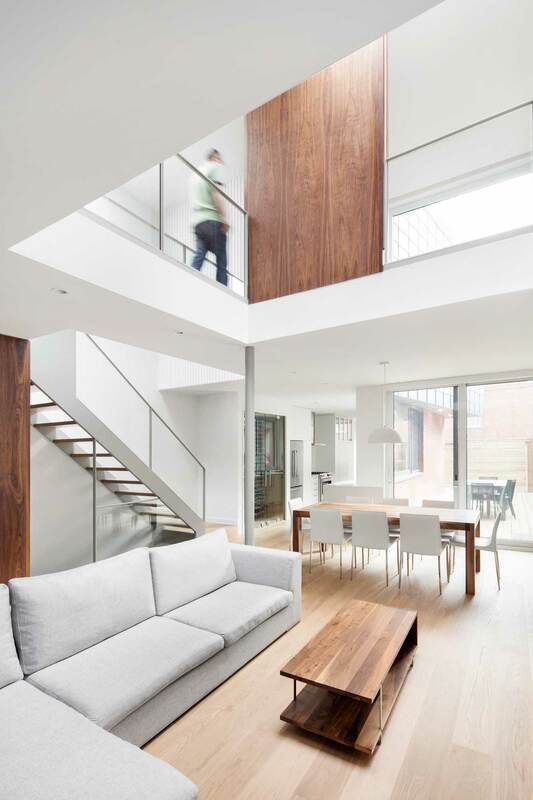 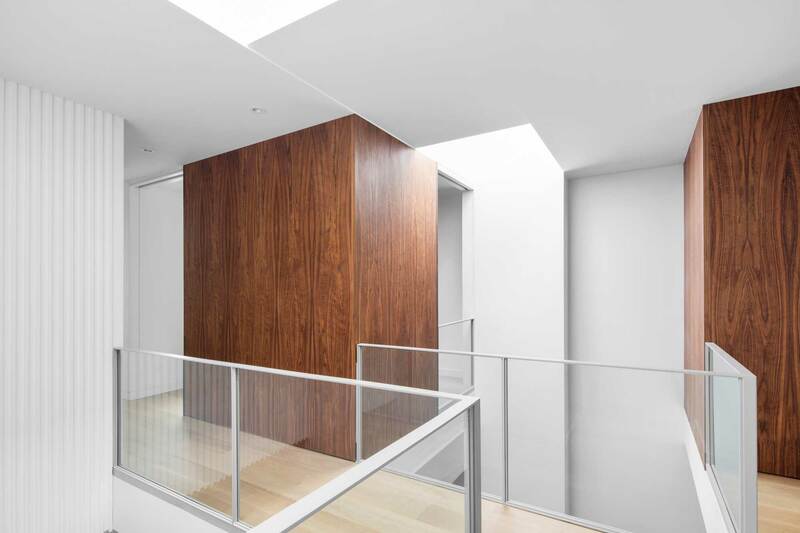 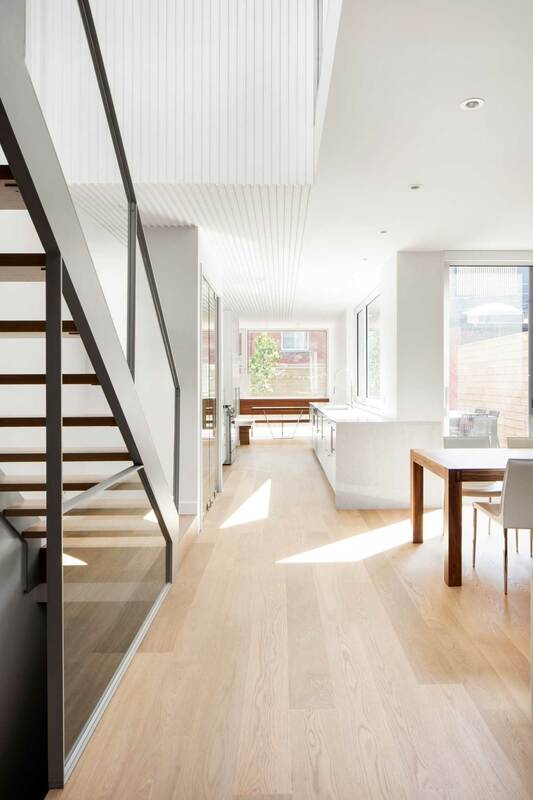 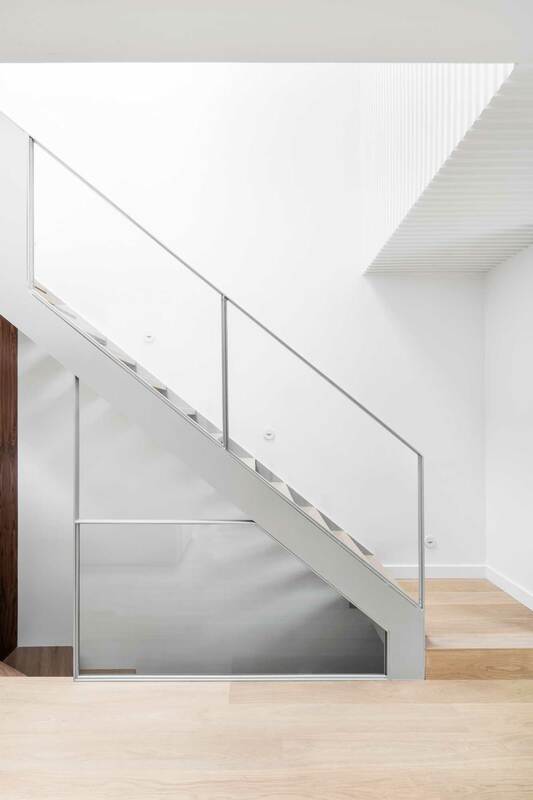 The Saint-André residence is located on a heritage street of Le Plateau Mont-Royal, and the project consisted in adding a modern extension on the back alley side while retaining the character of the built environment on the street side. 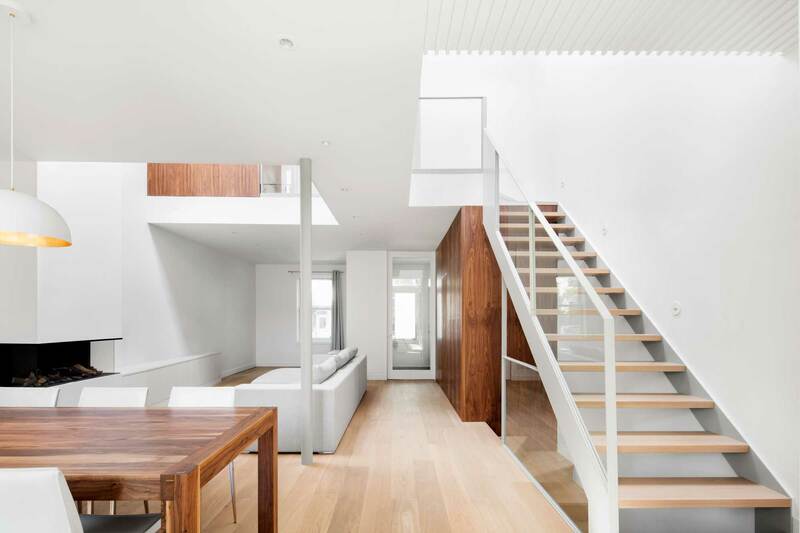 We transformed the early-20th-century duplex into a single-family dwelling, with the intent of creating a bright, open-space house. 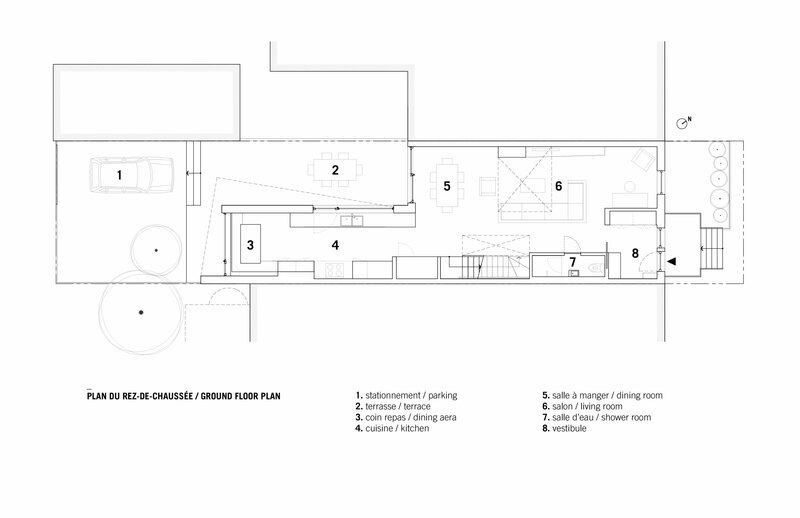 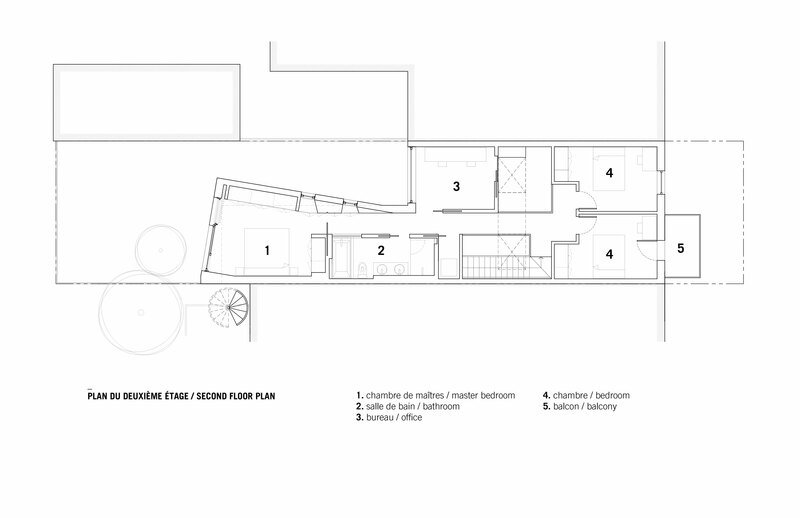 The extension allowed for the addition, on the ground floor, of a vast kitchen that opens up on the garden, and on the second floor, of a cantilever master suite built on the corner of the house. 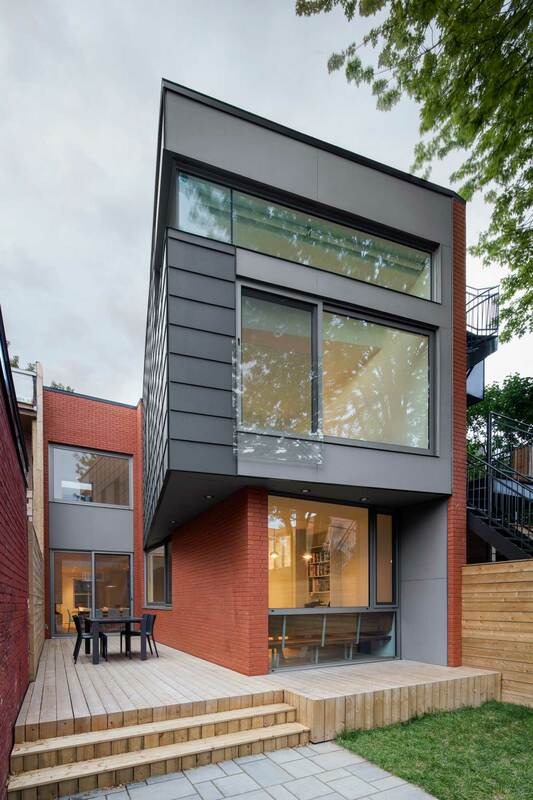 This protruding structure creates intimacy in the night spaces as well as a dynamic volume above the yard. 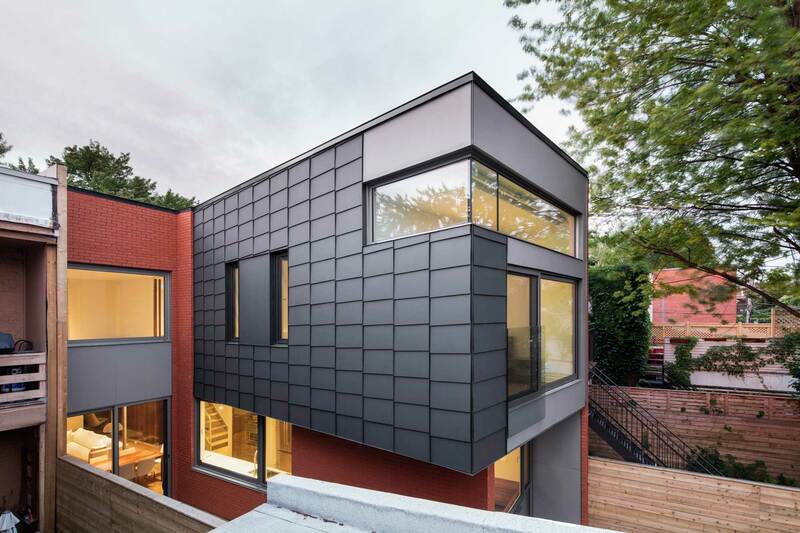 The back of the house is mostly covered in red brick as a reminder of the materiality of the existing house, and the siding for the cantilever is made of black layered fiber cement panels cut in diamond shapes, which creates a contrast between the modern cantilever structure and the historic red brick. 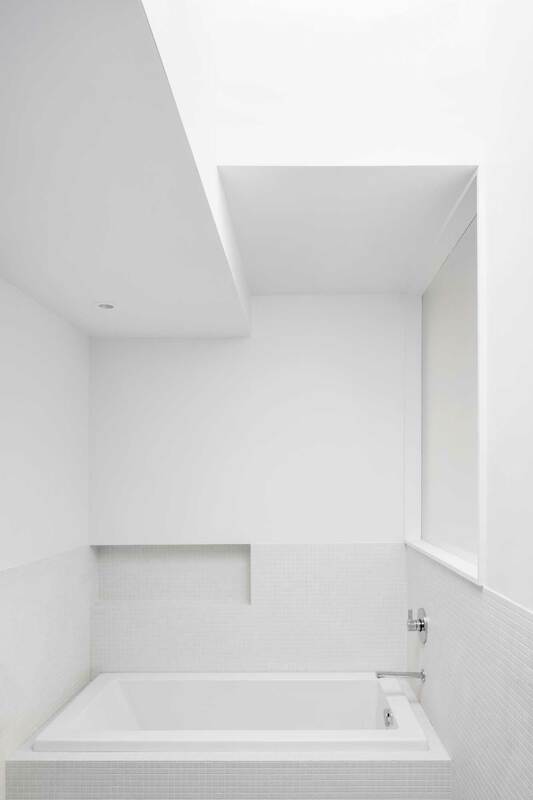 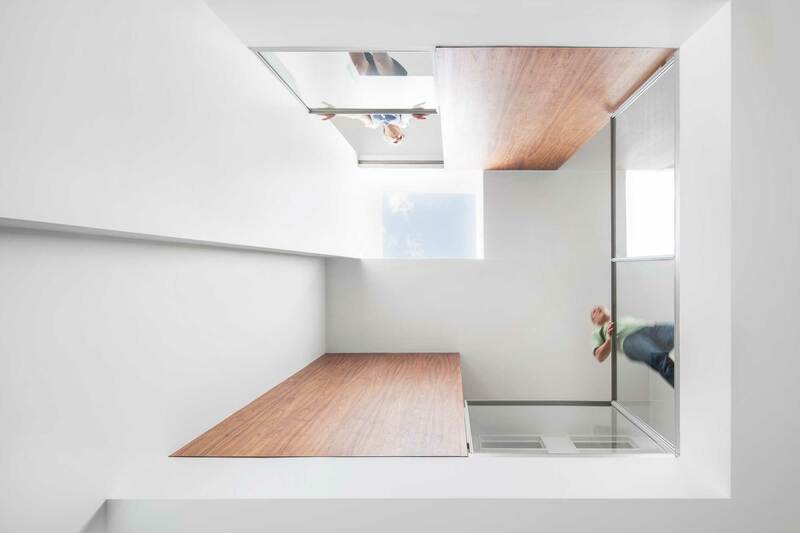 Two wide skylights installed in double-height spaces provide natural light in the centre of the house. 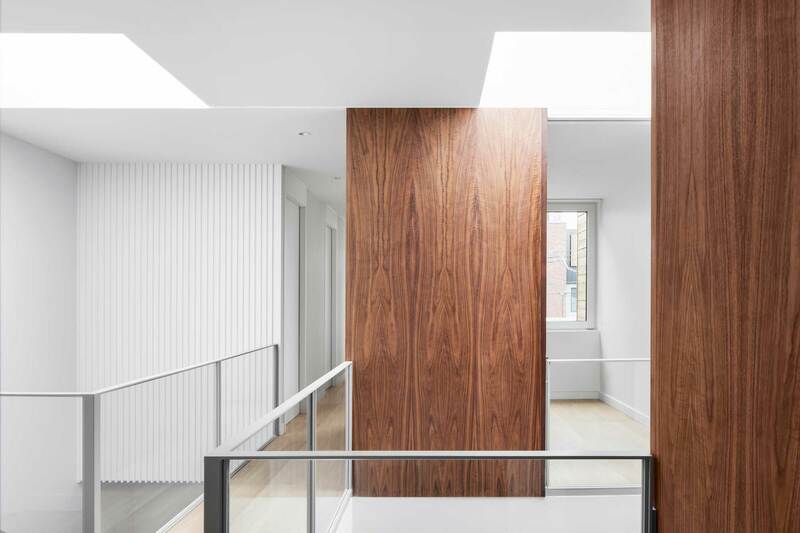 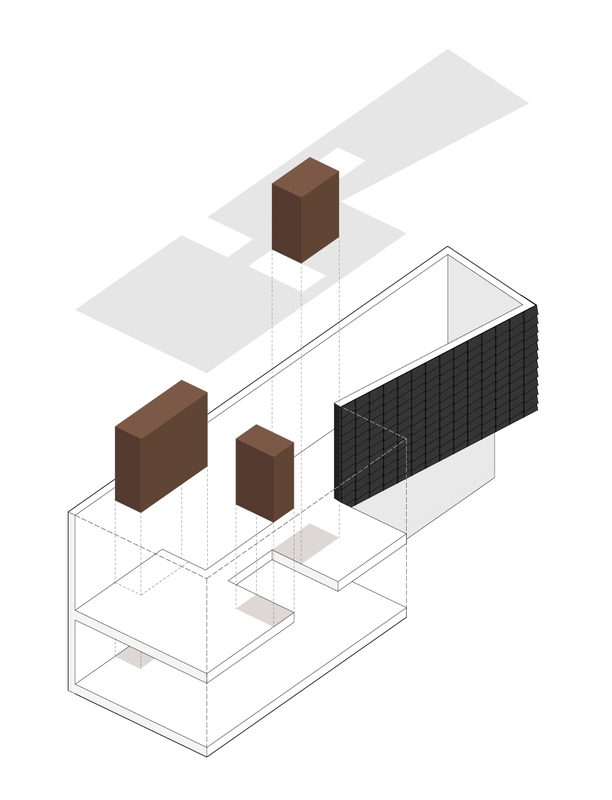 In order to structure space and add accents of materiality as well as textures to the house, three volumes have been covered with walnut wood, and another, with white rods.